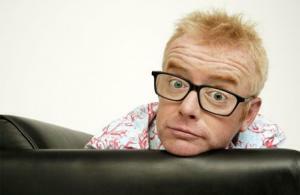 As well as being the new face of hit motoring show Top Gear, TV presenter Chris Evans also has a second job working as a car salesman. The car enthusiast has been announced as the replacement to Jeremy Clarkson on the BBC programme, but according to the Sunday Times the 49-year-old is also selling supercars. The paper states that he set up Zimple with his wife Natasha back in 2012 after he sold his own 1964 Ferrari GTO Series II for just under £16 million, which represented a £4 million profit on what he had paid for it. Evans new line of work could provide a nice option to fall back on should his return to the small screen not prove successful. But if he wants to be successful in the car dealing industry then he will need to make sure he has a motor trade insurance policy in place to protect the expensive supercars he is selling against the threat of damage or theft, while he will also require a road risks insurance policy if he is to be properly insured while driving the high value vehicles for work purposes. The records for Zimple show that although Evans set the business up with his wife, the TV star own 95 per cent of it, with his wife owning just a five per cent stake in the firm. At present the company's is valued at £8.9 million and among the list of vehicles he is selling there is a rare Ferrari Daytona Spyder.